Based on reviews from 257 experts and 8,883 users. 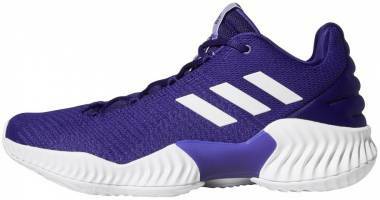 Learn how our rankings work or see our guide to purple basketball shoes. Updated Apr 2019. 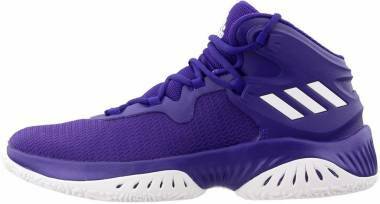 Adidas Crazy 97. 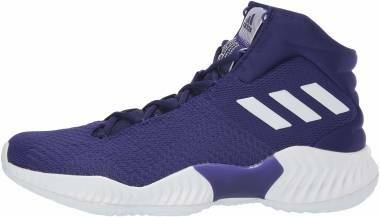 Formerly known as the Adidas EQT Elevation, the Adidas Crazy 97 is the purple and white basketball shoes worn by Kobe Bryant during his stint with the Three Stripes. 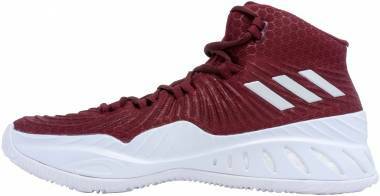 Bryant would participate and ultimately win the 1997 Slam Dunk Contest while wearing these Adidas basketball shoes. 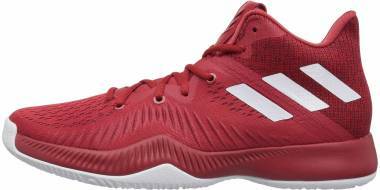 Adidas Harden Vol.3 ‘Drew League.’ James Harden pays tribute to summer hoops with the ‘Drew League’ colorway of his third signature basketball shoes. 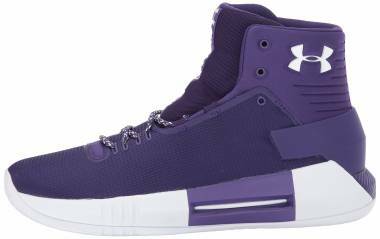 These predominantly purple and black basketball shoes are finished off with Aqua accents on the outsole, tongue, and heel. 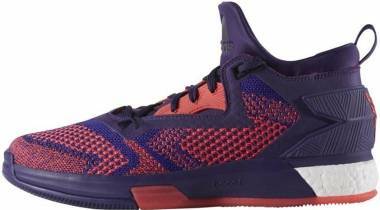 Adidas D Rose 6 Boost ‘Florist City.’ These purple basketball shoes are inspired by Illinois’ state flower, the violet. 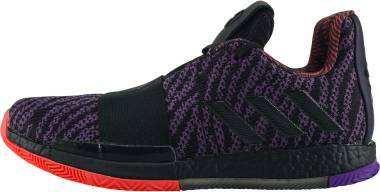 The Adidas D Rose 6 Boost ‘Florist City’ is dressed in purple, black, and gold. Violet flower graphics throughout the upper complete the theme. 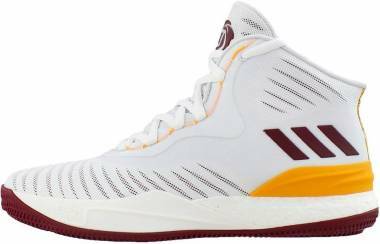 Nike Kobe AD Mid Booker PE. 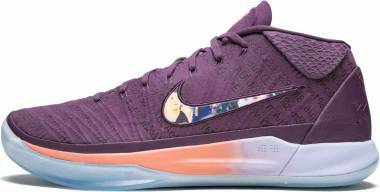 Designed for Devin Booker, this PE colorway of the Nike Kobe AD Mid features a Phoenix Suns-inspired mix of purple and orange. 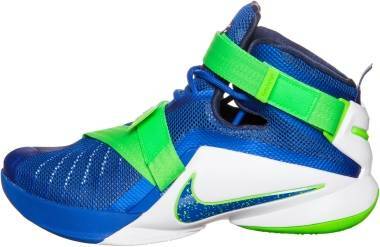 A prominently displayed Swoosh and images of Booker on the insoles complete the shoe’s branding. 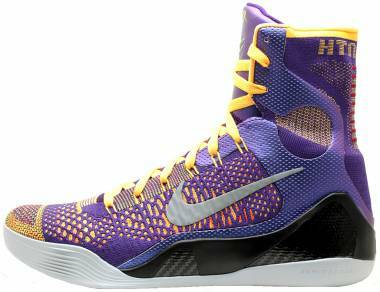 Nike Zoom Kobe 1 Protro ‘Purple Reign.’ These varsity purple and black basketball shoes come with hints of yellow and white. 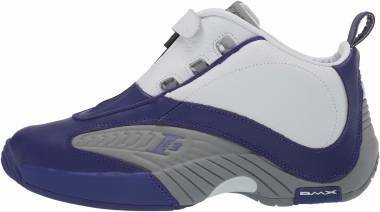 The ‘Purple Reign’ colorway of Kobe Bryant’s first Protro is released on October 23, 2018. 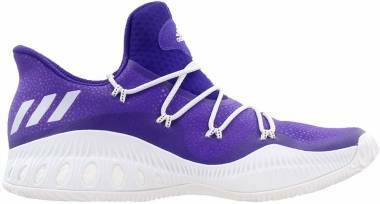 Nike LeBron 16 ‘King Purple.’ During the Lakers’ home opener for the 2018-2019 season, LeBron James broke out a pair of a Foot Locker-exclusive colorway of his Nike LeBron 16. 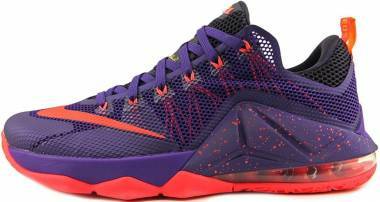 An alternate version of the ‘King’ colorway, these predominantly purple basketball shoes also come with the leopard print on the heel. 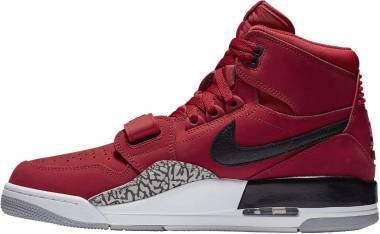 Hints of gold on the tongue and Swoosh complete the shoe’s majestic appearance. 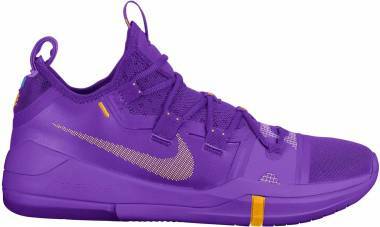 Nike PG2 ‘Mamba Mentality.’ Launched to commemorate “Mamba Day” 2018, the Nike PG2 ‘Mamba Mentality’ takes inspiration from the Nike Kobe VI ‘Prelude’ pack. 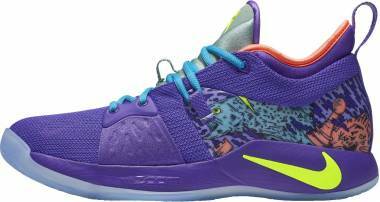 These purple basketball shoes sport a colorful heel graphic that illustrates some of Paul George’s off-court hobbies. Travis Scott X Air Jordan 4. 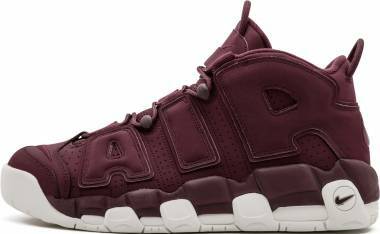 Limited to just 1,000 pairs, these purple basketball shoes were specifically made for Travis Scott’s family and friends. The Travis Scott X Air Jordan 4 features an all-purple nubuck upper with black and grey accents throughout. 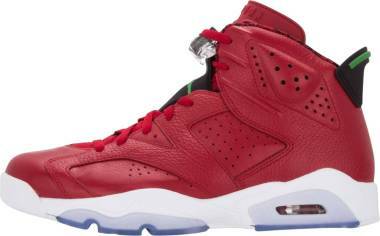 As a nod to the rapper, these Air Jordan basketball shoes also come with a special Travis Scott X Air Jordan 4 hang tag. 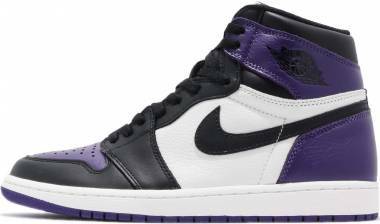 Air Jordan 1 Retro High ‘Court Purple.’ Jordan Brand puts a modern twist on a classic silhouette. Featuring the same color blocking as the fan-favorite ‘Red Toe’ colorway, the Air Jordan I ‘Court Purple’ is dressed in regal purple with white and black accents. Women’s Air Jordan 1 Retro High ‘Season of Her’ Collection. 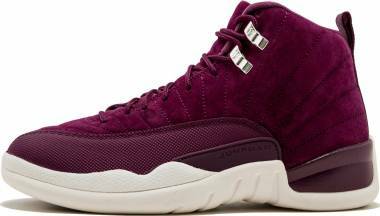 Jordan Brand celebrates the spirit and strength of the growing female sneakerhead population with a women’s exclusive collection called “Season of Her.” Launched in 2018, this ten-shoe collection combines premium materials with tonal pastel colors. Out of the ten, three pairs are covered in different shades of purple. 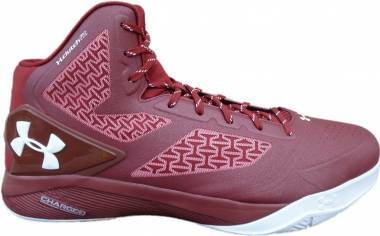 Under Armour Curry 3 Low ‘Dark Horse.’ To celebrate the 2017 All-Star festivities, Under Armour launched three colorways of the Curry 3 Low. 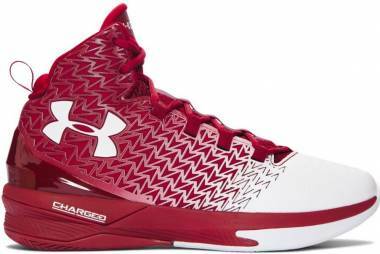 One of the hues takes us back to the time when a young Stephen played the game of H-O-R-S-E against his father Dell Curry in Virginia. 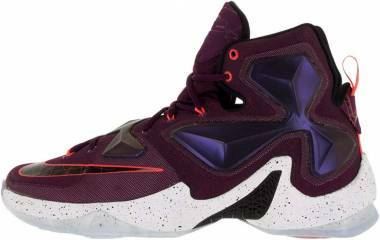 Dubbed ‘Dark Horse,’ these purple basketball shoes are also a nod to Stephen’s unlikely rise to the top in the NBA. 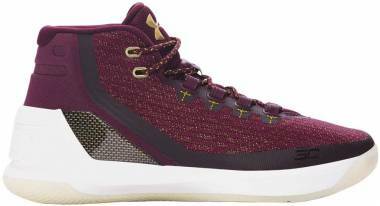 The Under Armour Curry 3 Low ‘Dark Horse’ is dressed in europa purple and is finished off with rhino grey and pomegranate accents. For centuries, only royalty and the affluent could wear purple. From Rome, Egypt, and Persia, purple was associated with the imperial class. In fact, during the Elizabethan era, Queen Elizabeth I passed a series of Sumptuary laws relating to the type of fabric and color people across the social spectrum could wear. These laws ensured that her subjects dressed according to their rank and class. The wearing of purple-colored clothing was reserved for the Queen and her royal family. Why is purple associated with royalty? The color purple’s regal status originates from the rarity and cost to produce the dye. Tyrian purple was so rare and expensive to make that it became worth its weight in gold. Because of this, only wealthy rulers and the affluent could afford purple-dyed fabrics. How was purple dye made during ancient times? The original purple dye was harvested from sea snails called Bolinus brandaris. This species of sea snail came from the Mediterranean Sea near the ancient Phoenician city of Tyre (now in modern-day Lebanon). To produce the color purple, dye makers had to break the snail’s shell and extract the purple-producing mucus. They then had to expose the mucus to sunlight for an exact amount of time. It took around 250,000 of these mollusks to produce just one ounce of usable dye. Who invented the first synthetic purple dye? In 1856, an 18-year-old chemist named William Henry Perkin was trying to synthesize quinine (an anti-malaria drug) in his makeshift lab. However, instead of creating synthetic quinine, he accidentally made a synthetic purple compound. At first, he called his discovery Tyrian purple - as it was initially known - but later renamed it to mauve. Perkin patented and manufactured the dye under the name aniline purple. He made the color purple more accessible to the lower classes and made a fortune in the process. The color purple combines the calmness of blue and the fierceness of red. It is associated with nobility, power, ambition, and luxury. It represents wealth, wisdom, dignity, devotion, peace, pride, independence, spirituality, and magic. Because of its rare occurrence in nature, the color purple is often seen as having a sacred meaning. It is worn by royalty, priests, and people of authority. 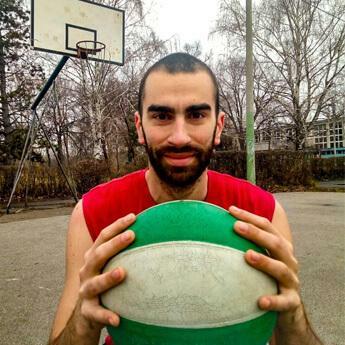 Which NBA teams wear purple? At least four NBA clubs have purple in their team’s colors. The Charlotte Hornets, Phoenix Suns, Sacramento Kings, and Los Angeles Lakers all have a touch of purple in their uniforms.